Over the weekend, I had the chance to fly at two festivals at once.. The club had two events on Sunday, both the Bellevue Earth day event and our clubs annual spring fly at Papillion. 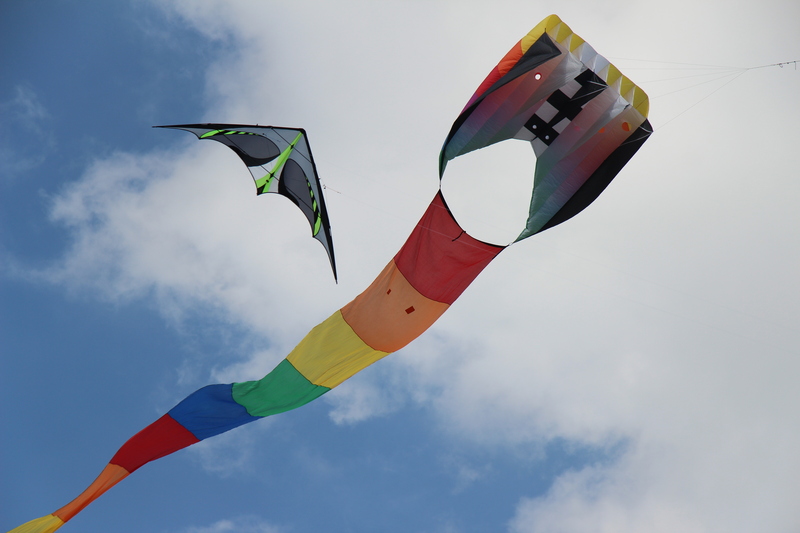 Both events were well attended, and I also met a great photographer, who took a few pictures of my kites, and then ended up over at the other festival, and got more pictures of the clubs kites. Her blog can be found at pausesandclicks Julanne Kowalski is her name, and she is quite a talented photographer. Take a look at her blog, I know from looking at it, I am now subscribed, and really enjoying her talents. I am hoping to possibly invite her out on a regular basis to our events, as my pictures pale in comparison to her talent. 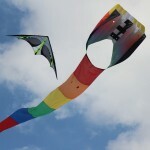 🙂 The LaVista Kite fly is this weekend, and the weather outlook looks great so I look for another great event. It’s been nice to have out many different kites, that have not flown for quite a while. I think it has been over 2 years since the HQ Flo Form has made it out of my basement, and probably over a year since the 252 has seen the light of day. I am trying to rotate my kites, and make sure all kites get out and flown. Also, I really have been enjoying flying my stunt kites quite a bit. I wish I had more talent to do more tricks, but in all honesty, just flying them seems liberating. Flying them make time pass way too fast. I am adding a few pictures from Julanne to the picture gallery, take a look and see what you think. Also take a look over at The Midwest Winds club site as well, to see more of her talent! OmahaKites.com | Powered by Mantra & WordPress.